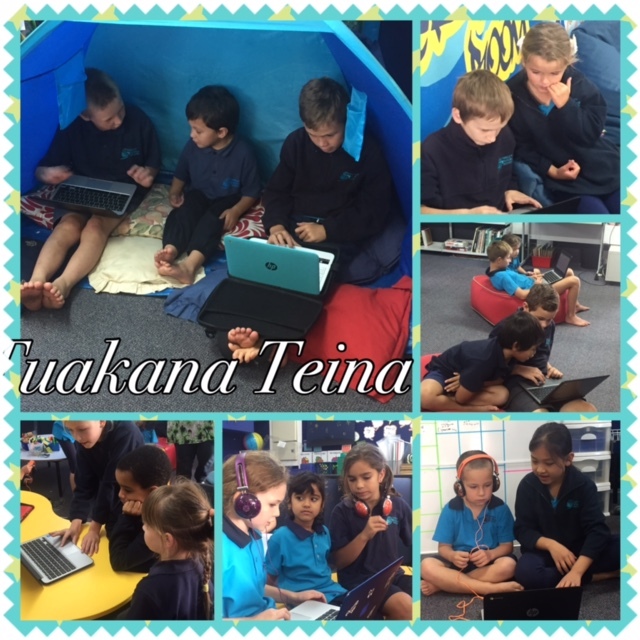 Yesterday we met up with our buddy class - Room 13 for Tuakana Teina. First Room 13 came to Rooms 5 & 6 to have a look at some books with us, and we told them why we liked the book we chose. Then we went to visit Room 13. We went off with our buddies and they showed us some cool things they had been doing on various devices. It was great to see the sharing and listen to the conversations being had. We look forward to our next Tuakana Teina time slot with Room 13.